0:07 What is single pulse response? Essentially, a single pulse response is a blink of the eye-diagram. We know the eye-diagram is a concise version of PRBS. To know what a channel would do to different signals… We don’t know what data is going to come in. So we decide that we can send in some random, pseudo-random bit sequence to see what’s going to come out. Now that’s a lot of bits, a lot of different pulses. So what single pulse response is doing, is taking all that thing, every complicated data into one pulse, we look at the single thing to reduce the complexity, and see how the channel will affect the single pulse, and that is a signal pulse response. 0:54 What are the key characteristics of a single pulse response? The important thing about the single pulse is the rise time of the pulse and there’s the width, which is the bid rate, the unit interval. So if, you want to send a really fast, say 50 gigabits per second then there’s a bit interval. Once you send that pulse through the channel, then it depends on how the pulse is deteriorated. You can kind of see, oh is this going to work, for 50 gigabits per second. 1:21 Are these the only two parameters? Yes, everything is included. The channel in the middle, we ascend the pulse from the left, it has some very nice width and its sharp rise time. Well once it goes through the channel, the channel has some loss. So if you look at a single pulse and you mark the maximum as the cursor, anything before that, using unit interval, is a tab. A tab in front is a precursor. A tab behind is a post-cursor. By determining the tab values, you can change the equalization and bring the pulse back to nice eye. 1:59 Is it possible to upgrade TDR equipment to do single pulse response? It’s interesting that you ask, because essentially a single pulse is two TDR. Zero to one and then delay zero to minus one, and then you have the pulse right there. That’s what I did actually. In ADS, I showed a zero to one, zero to minus one, that’s how I created single pulse. You can look at the impedance, discontinuity, controlled impedance, even more great is you can look at the crosstalk. The crosstalk between two lines, and that’s very important. 2:27 Crosstalk between one channel and the other channel? 2:32 Maybe one differential pair and another differential pair? 2:35 Any tips for PCB designers you can suggest? I’ve designed test boards and before I started, I didn’t really understand single pulse response, let alone signal integrity. The more I learn about signal integrity, the more I understand all the inner workings of the trays and the signal and the return and the electric currents. There’s a lot more than just trace that meets the eye. You’re not just routing traces as a designer. 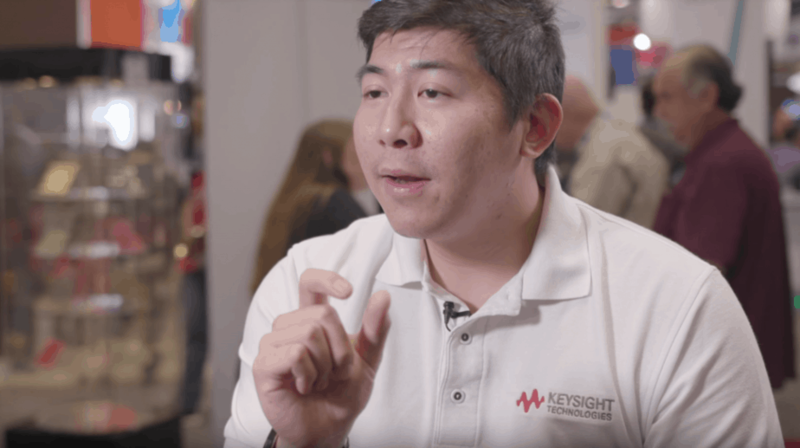 I would suggest all the PCB designers to learn a little bit about signal integrity because that would dramatically improve how you’re thinking about designing. To plug over here, I write a blog called Tim’s Blackboard. I’m responsible for that. If you do a Google search on Tim’s Blackboard, that’s the first thing that pops up. Got a lot of great educational content. I strongly suggest you check it out and have any questions, feel free to contact me. 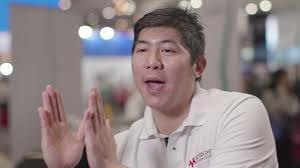 3:28 Why is it important for designers to attend DesignCon? To me, Design Con is about new technology, old friends. It’s a class reunion of the signal integrity industry. More than that, it’s a knowledge. You see a lot of knowledge… People are really supportive here. When we are pushing for the boundary, it’s important to have the comrades who are helping you, supporting you, so you know we’re all in this together. We’re helping the world moving to a better place. To me, DesignCon is a wonderful place. Five stars, two thumbs up! 4:02 How do you incorporate Sierra Circuits into your life? That’s a good question! I’m still doing my PhD, so for my thesis, I had to design some test patterns. I’m working on measurement and simulation correlation. To do that, I need some test patterns and Sierra Circuit is a great design in a manufacturing facility to do that for me. After the coupon’s manufactured, I use my text fixtures and Keysight’s equipment to measure it. It’s a win-win situation.